Our global team members have been raising funds and donating goods in order to bring holiday cheer to people in their local communities and overseas. 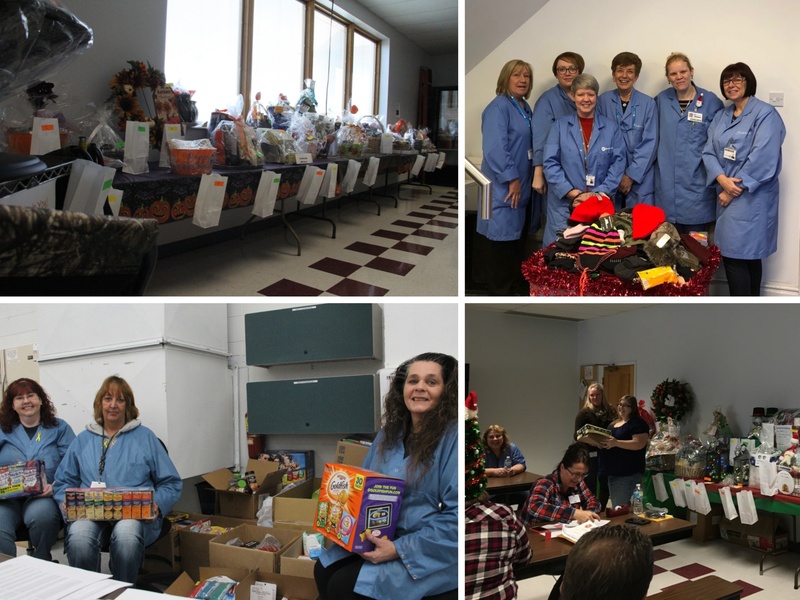 In Perry, Ohio our “Give Something Back” committee worked to create basket raffles in October and December to raise funds for several charities. The first raffle raised $2,454 for the “Sunshine Fund”, which assists team members in need. The second raffle raised $1,800 for the local food bank, humane society and adopt-a-child program. The Perry team also worked together to collect many items for donation to the USO. The donations will be sent overseas to troops and they will be receiving food, office supplies, games and a variety of amenities. TT Electronics team members in Rogerstone, South Wales have been gathering donations for the Salvation Army in Risca, Newport. They collected toiletries, socks, gloves, hats, scarves, chocolate, razors and more for the organization to distribute amongst the homeless people in the area. The team in Rogerstone donates to this charity every year to help the local community. We want to extend a thank you to all of our team members who worked together to give back this holiday season.